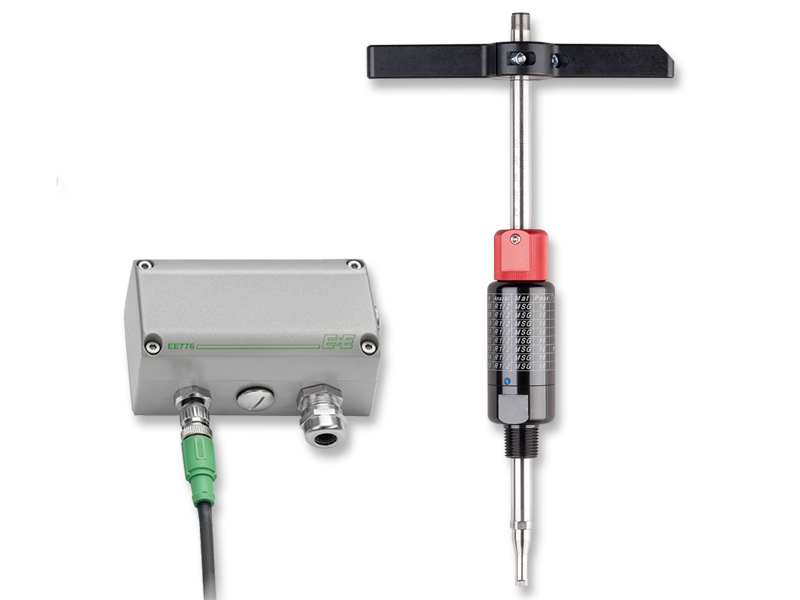 Reliable Monitoring of Compressed Air and Gases. 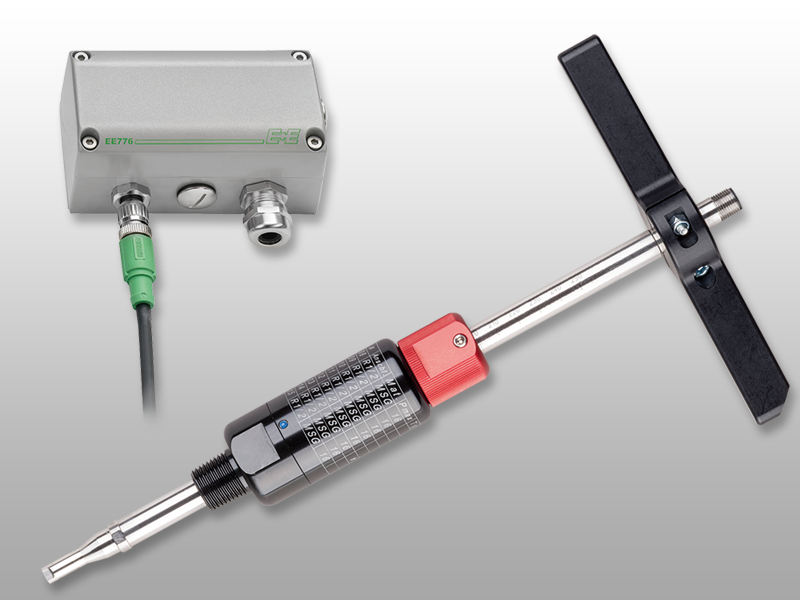 With Thermal Flow Meters from E+E Elektronik. 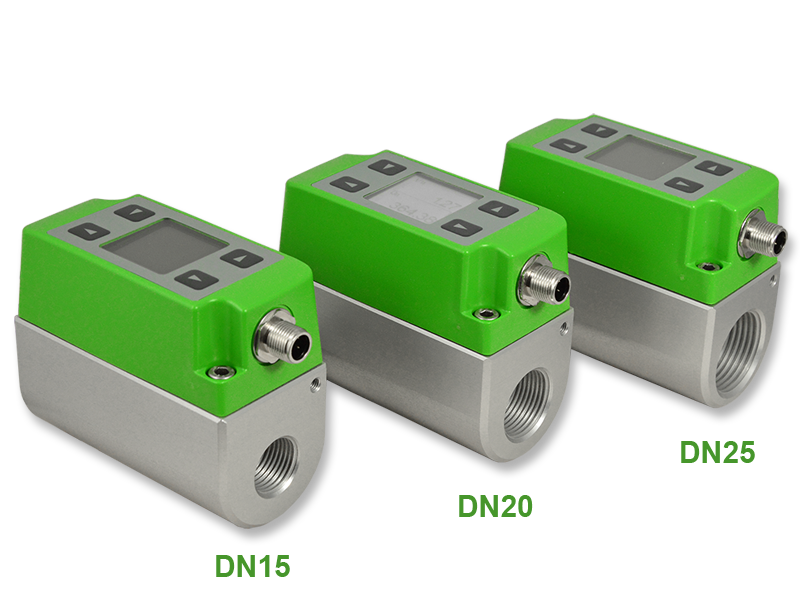 Mass flow meters from E+E Elektronik measure the mass flow, standard flow or volumetric flow of compressed air and technical gases such as nitrogen, oxygen, CO2 or argon. 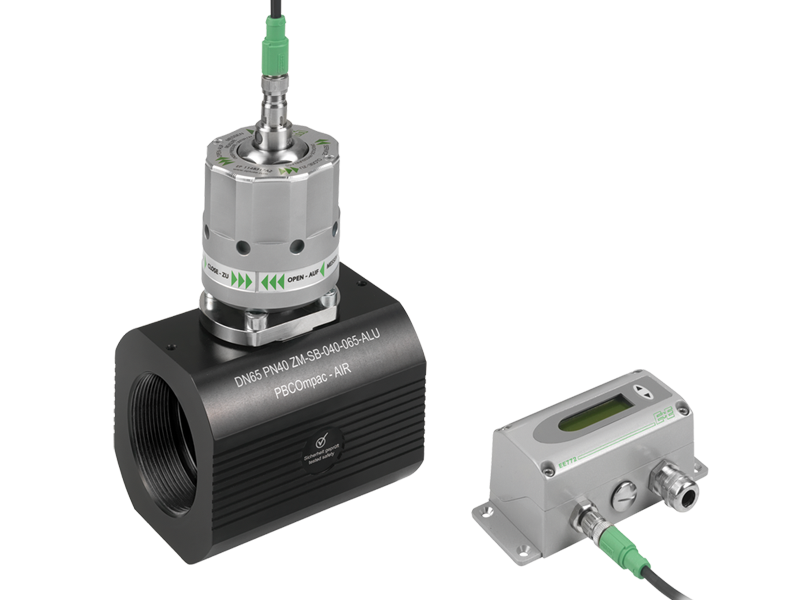 They are ideal for accurate consumption monitoring and leak detection in pipe networks from DN15 to DN700 with operating pressure of up to 40 bar (580 psi). 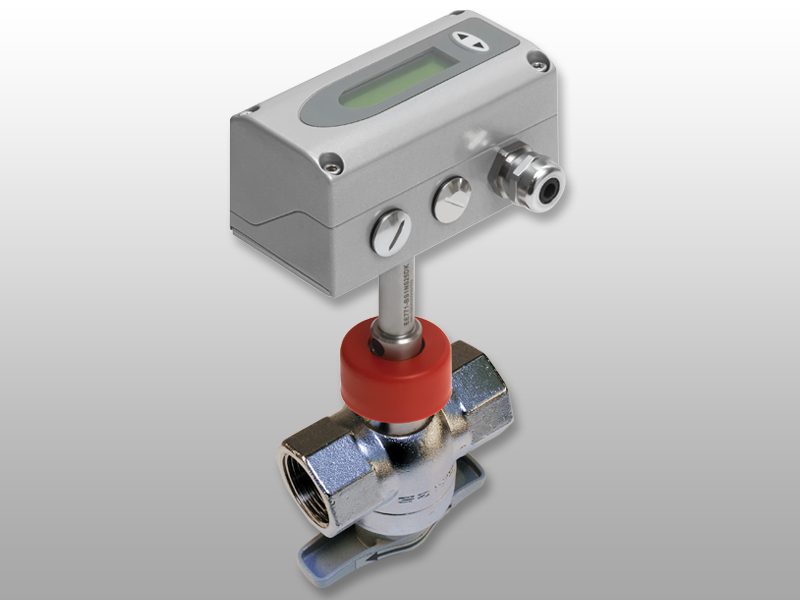 E+E flow meters operate on the thermal hot-film anemometer principle, which is independent of pressure and temperature. 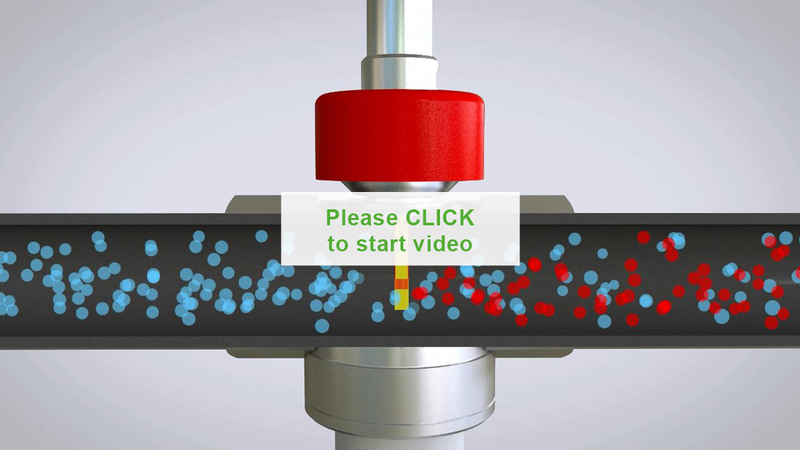 Due to outstanding accuracy and high sensitivity, even the smallest volumetric flows can be measured precisely. Various models and mounting options allow for easy installation and removal of the flow meters, even without flow interruption. 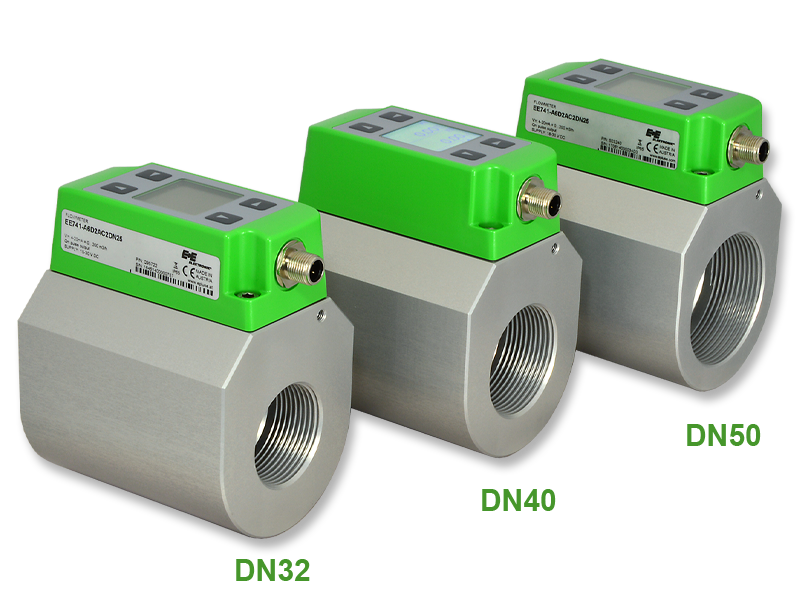 The various E+E flow meter models are suitable for pipe diameters from DN15 to DN700. 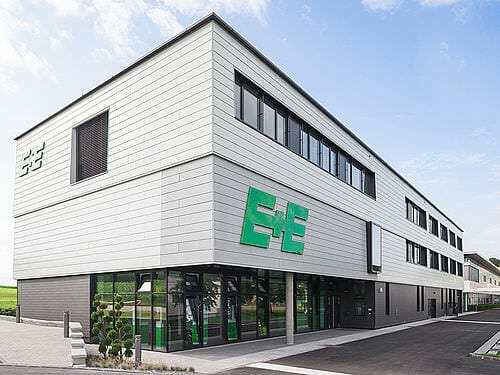 The core of each device is the well proven E+E hot-film sensing element. Its high resistance to contamination leads to an excellent long-term stability. The factory adjustment at 7 bar (102 psi) or 9 bar (130 psi) working pressure ensures highest accuracy for every single E+E flow meter. 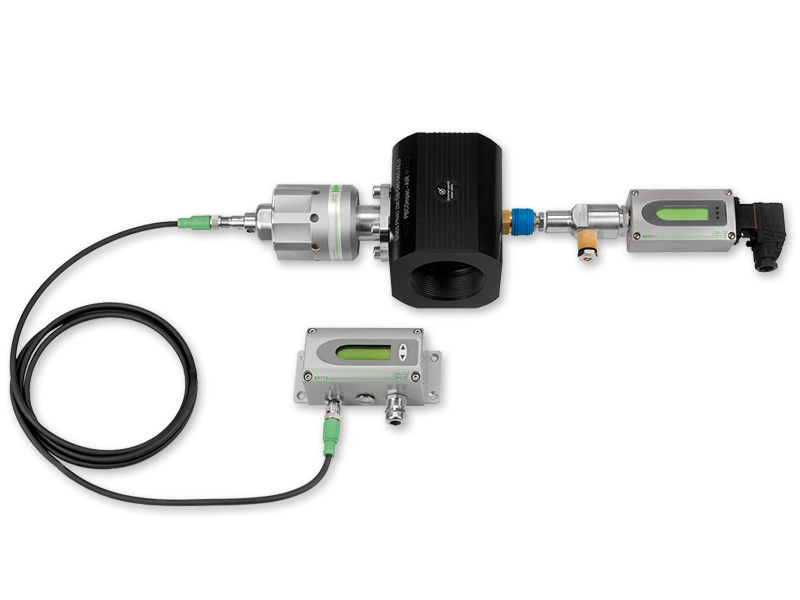 The transmitter can be mounted and removed at any time, without work on the pipeline. A longer operation interruption can be avoided. This construction facilitates periodical calibration of the measuring unit and its temporary use at several measuring points. 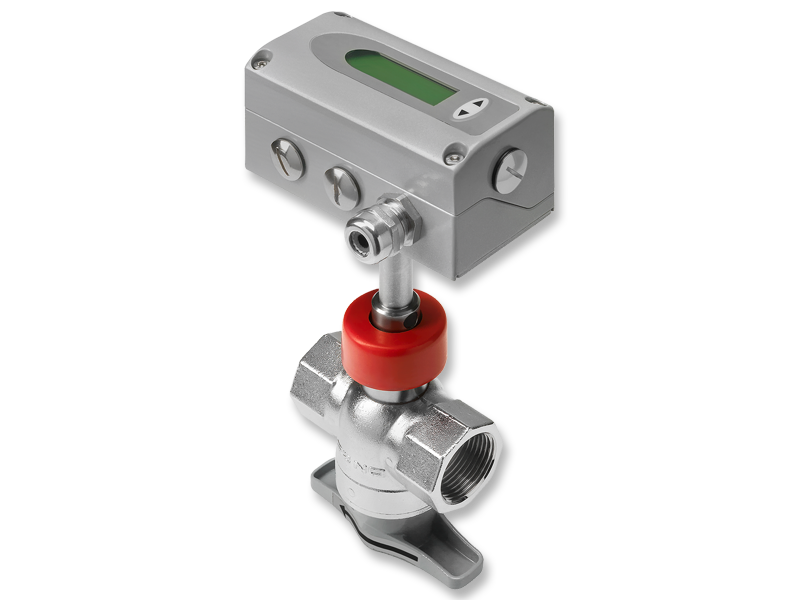 The modular flow meter EE741 consists of measuring unit and gauge mounting block. The backlit LC display of the EE741 is rotatable in 90° steps and thus optimal readable in any mounting position. Watch now the EE741 video presentation! 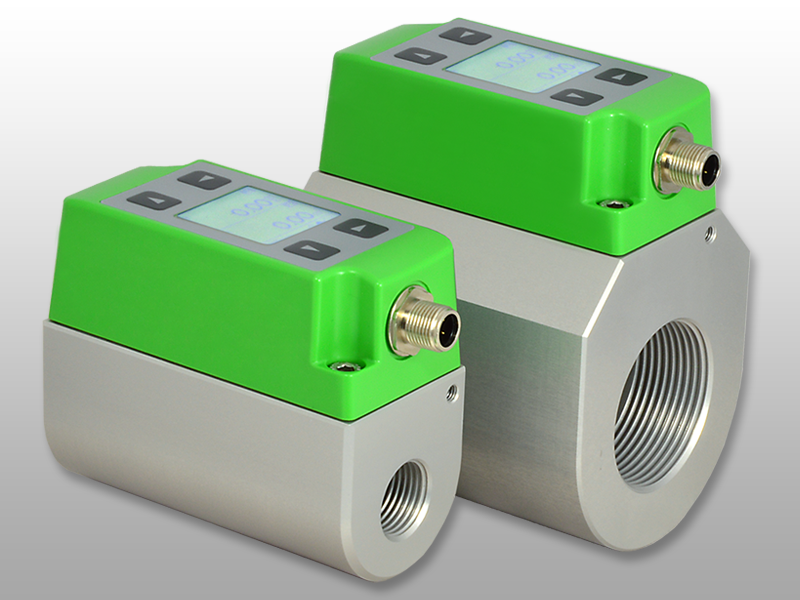 The EE771 flow meter impresses with a wide measuring range from 0.5 to 200 Nm/s (1:400). The measurement ball valve permits easy installation and removal of the measuring unit with only a short interruption of the flow. It also facilitates the precise and reproducible positioning of the stainless steel probe in the pipeline. For the version with remote probe, the electronics can be placed up to 10m away from the probe. EE771 flow meter for small and medium pipe diameters. EE771 with interchangeable probe. The measuring unit can be placed up to 10m away from the measuring point. 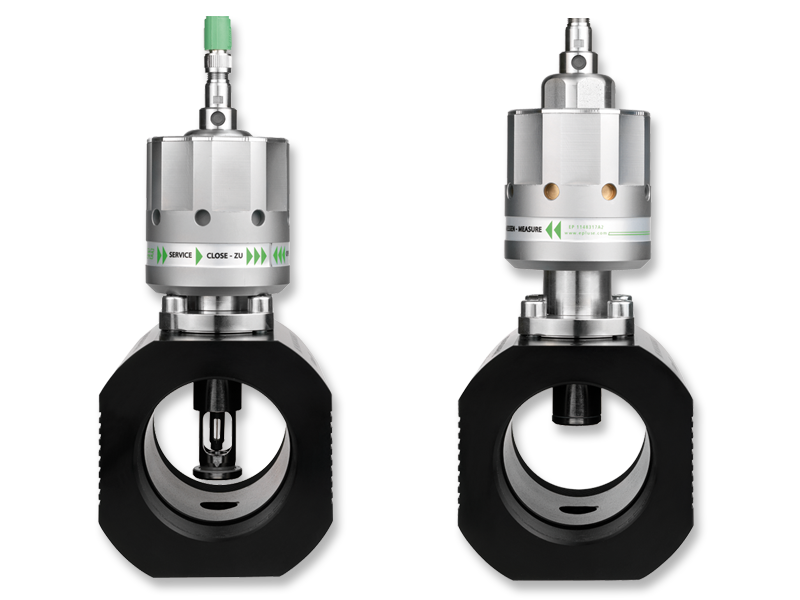 The measurement ball valve facilitates rapid installation and removal of the probe with only a short interruption of the flow. Watch now the EE771 video presentation! 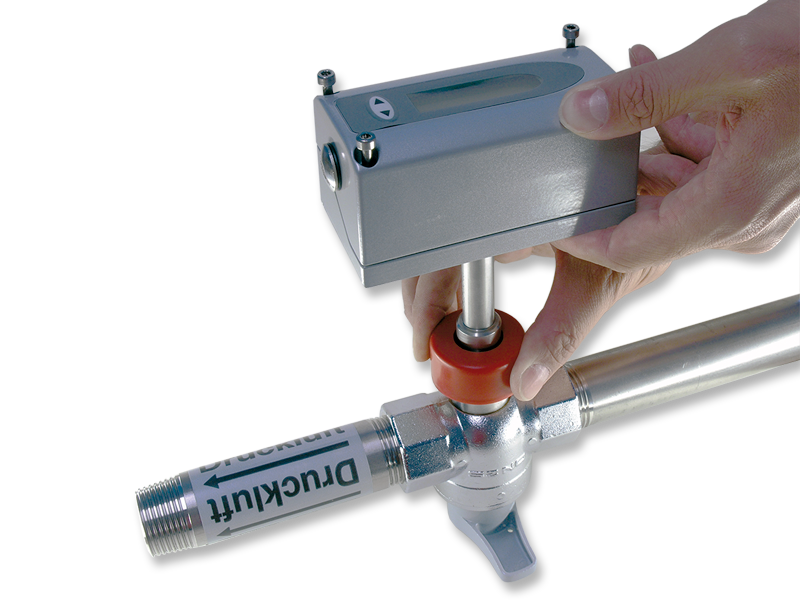 The EE772 flow meter with gauge mounting block allows for installation and removal of the probe without flow interruption. 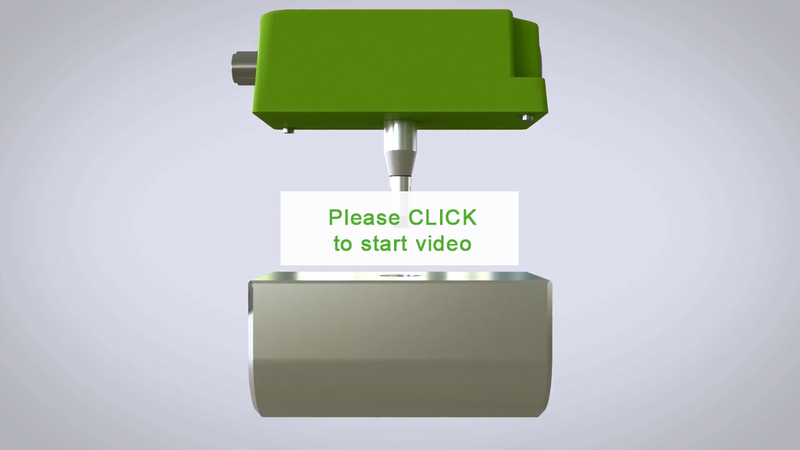 The gauge mounting block enables precise positioning of the flow sensor in the pipeline. 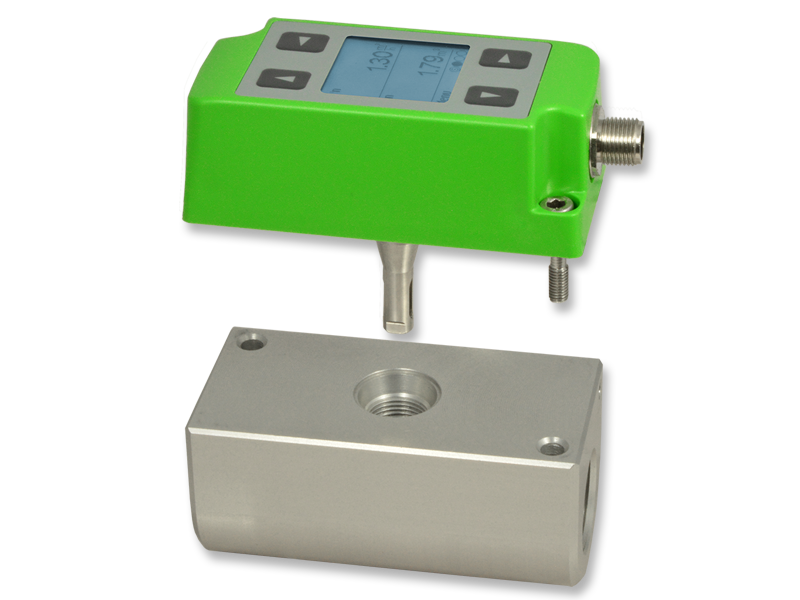 The gauge mounting block can also accommodate a dew point or pressure sensor. The EE772 is dedicated for applications where the process may not be interrupted. 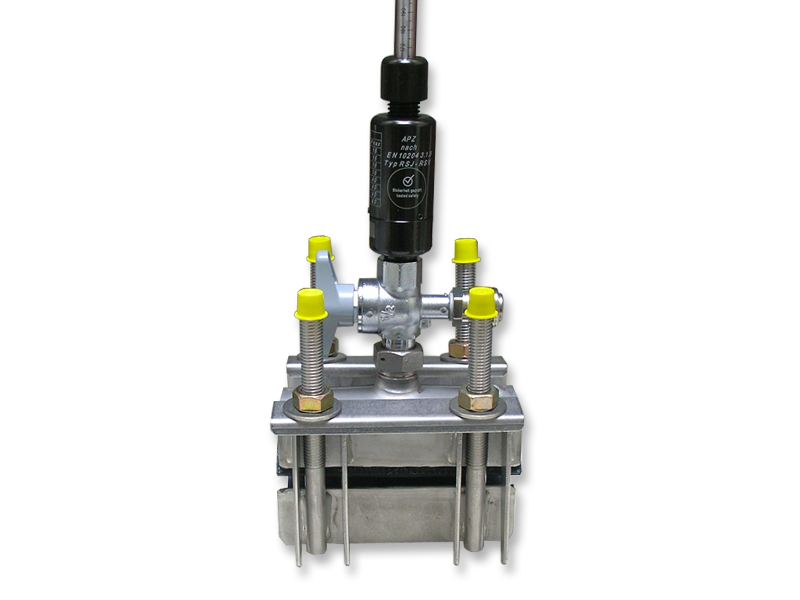 The gauge mounting block with hot tap valve allows for installation and removal of the probe without interrupting the air or gas flow. 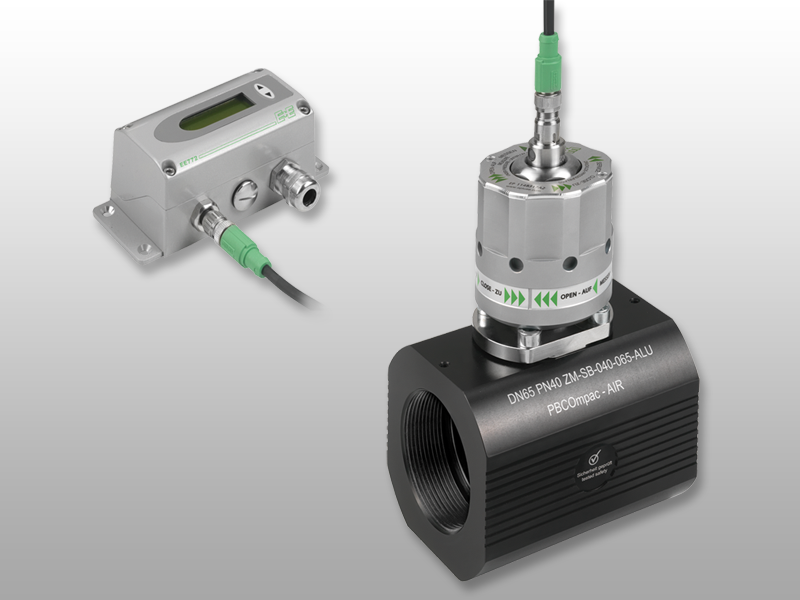 A calibration of the sensor is thus possible at any time and without system downtime. The gauge mounting block can also accommodate an additional dew point or pressure sensor, which simplifies considerably the monitoring of the compressed air quality. The EE776 is dedicated for mass flow measurement in large diameter pipes. 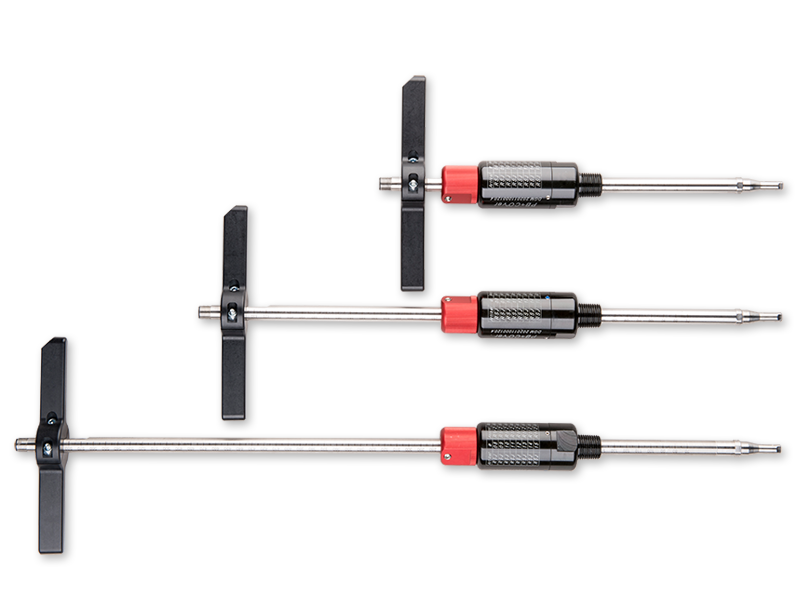 The patented non-return protection ensures safe installation and precise positioning of the probe under pressure. The tapping sleeve allows for drilling into the pipeline under pressure and for mounting the EE776 without disturbing the process and without welding work. 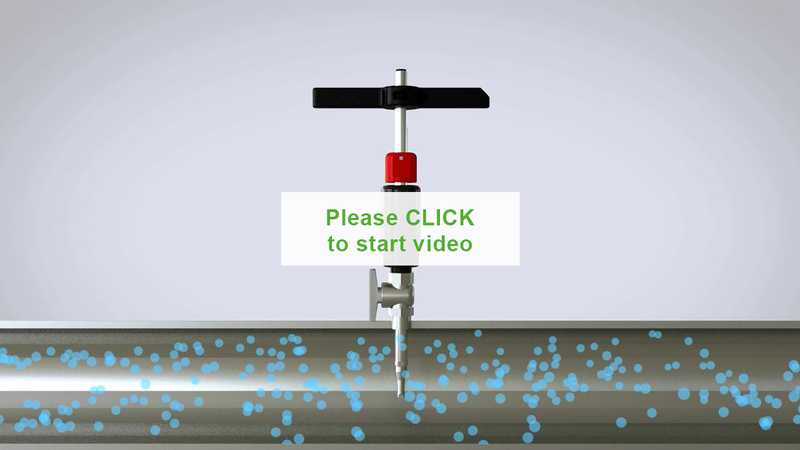 An optional ball valve enables the installation and removal of the probe without flow interruption. 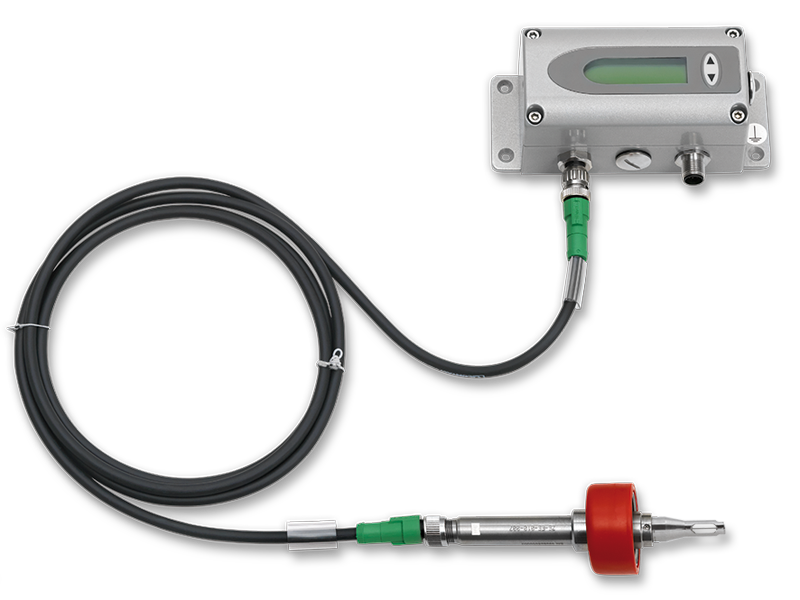 EE776 Insertion flow meter with patented non-return protection. Tapping sleeve for mounting the EE776 without flow interruption and without welding work. Three different probes for pipe diameters DN50 to DN700 are available. Watch now the EE776 video presentation! 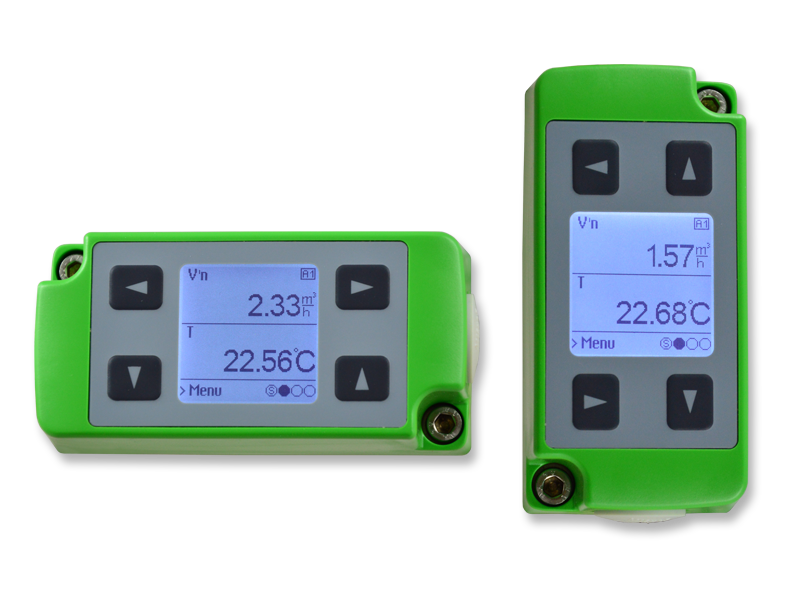 The E+E flow meters are based on the hot-film anemometer principle. The main benefit of this measuring principle is the absence of moving parts. This makes the sensor wear-free and highly insensitive to mechanical influences such as shocks and vibrations. This leads to low maintenance and long service life. Another benefit: the mass flow or the volumetric flow measured with a hot-film anemometer is independent of pressure and temperature. The devices can therefore be used at various pressures and temperatures without compensation. 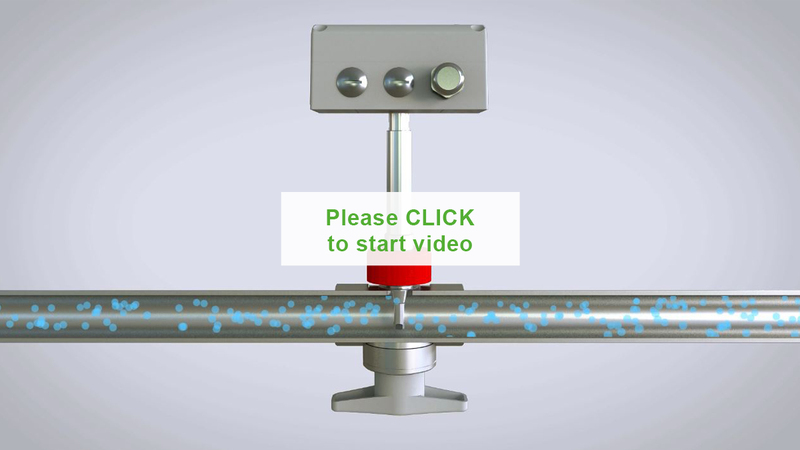 Watch now the video presentation of the measurement principle!